Celtic Women’s team manager, Eddie Wolecki Black, made his fourth new signing as he prepares the squad for their 2019 summer season. At the weekend, 31-year-old midfielder Katherine Smart joined the Hoops in time to take part in a match on Saturday against Scotland’s Under-19s at the Oriam, which Celtic won 2-1. Smart brings great experience to the Celtic squad, having played senior women’s football for over 12 years, firstly for Tynecastle and since 2009 for Hutchison Vale in Edinburgh. Her career in sport, however, has not been exclusively as a footballer, although she played at primary school where she mixed it with the boys, playing for her school in football festivals. From an early age, though, her sporting choice was skiing, and she has had an outstanding career in that sport. When she reached 13-years-old, she hung up her football boots to concentrate on her skiing, and was soon a member of the Scottish Alpine Ski team. In 2005, as a 17-year-old, Katherine won the Scottish Women’s Giant Slalom Trophy and the Best Junior Girl title. She was also voted as the most promising Scottish Junior racer. Her football career resumed in 2006 when she went to Heriot-Watt University to study Sport and Exercise Science with a view to moving into physiotherapy. 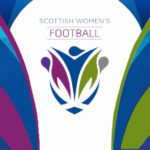 At that stage, she joined Tynecastle’s senior team and played with them until she joined Hutchie Vale after three years. She told the official Celtic website: “I have made my career as a personal trainer but have also done some football coaching and worked as a ski instructor. I’ve always been happy to play with Hutchison Vale. “But I’m delighted now to have joined Celtic. 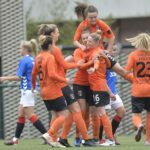 The lure of the club with its recent commitment to its women’s team and the opportunity to play for someone with Eddie’s reputation helped me make the decision. 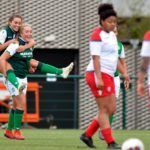 Celtic’s new season in the Scottish Building Society Scottish Premier League One starts with a home game against Forfar Farmington on February 10 and a challenging away fixture against Hibernian the following week. Before that, they travel to Potsdam in Germany this weekend to play in an invitation indoor five-a-side tournament against some of the top teams in Europe.